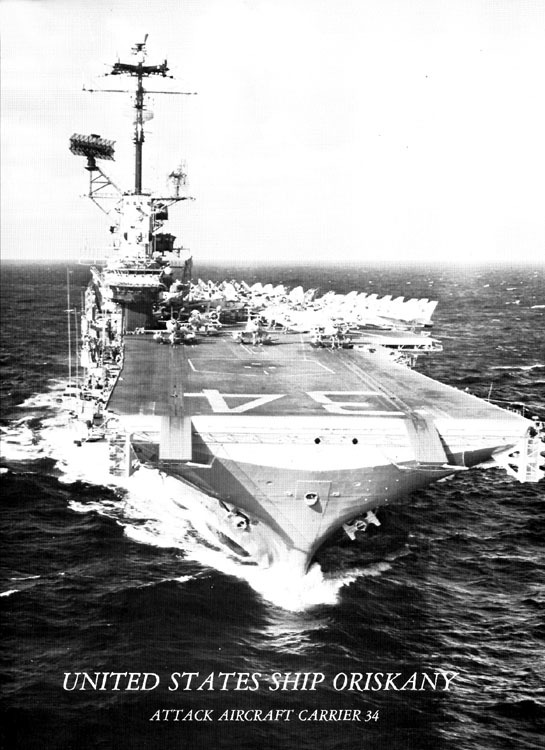 The USS ORISKANY was a World War II-era carrier on duty in Vietnam as early as 1962. 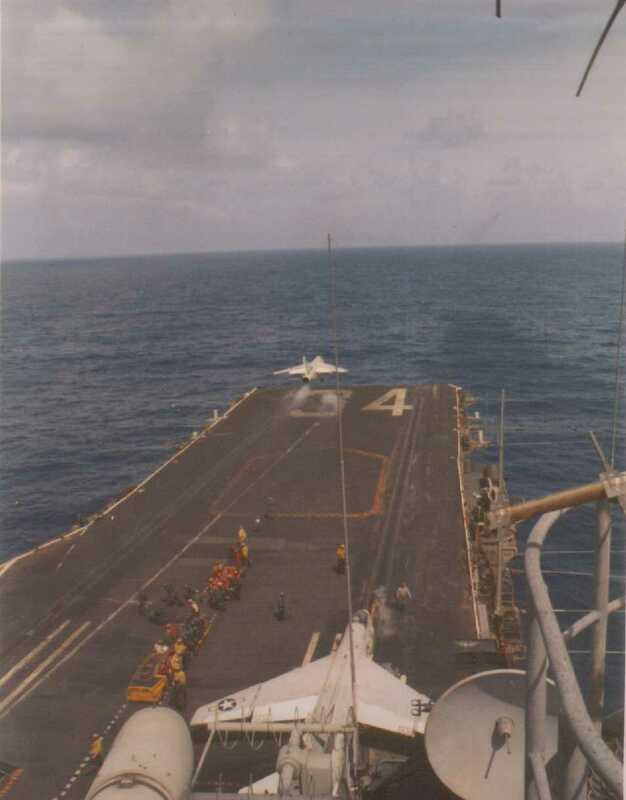 The ORISKANY at one time carried the RF8A (number 144608) that Maj. John H. Glenn, the famous Marine astronaut (and later Senator), flew in his 1957 transcontinental flight. 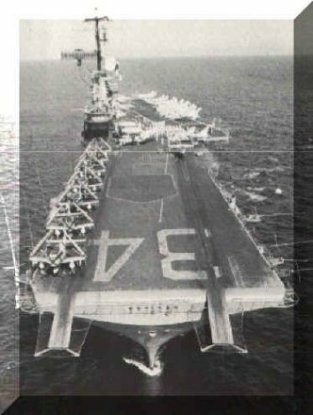 In October, 1966 the ORISKANY endured a tragic fire which killed 44 men onboard, but was soon back on station. 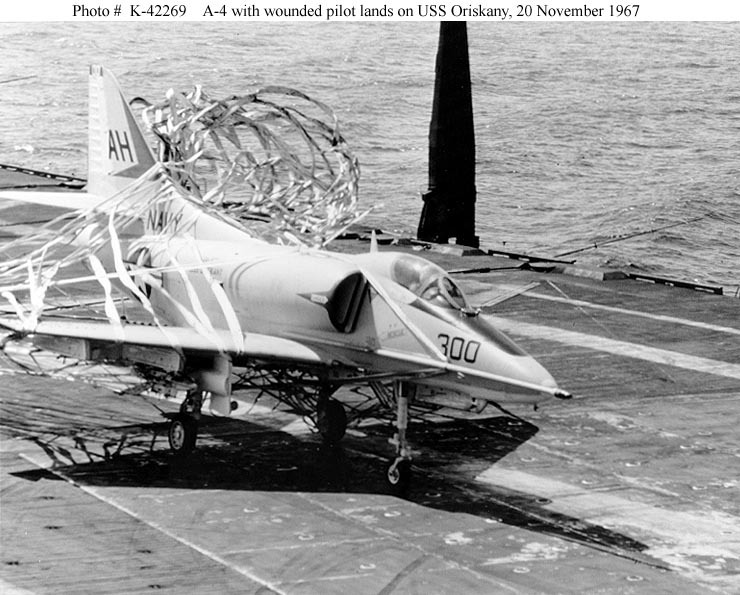 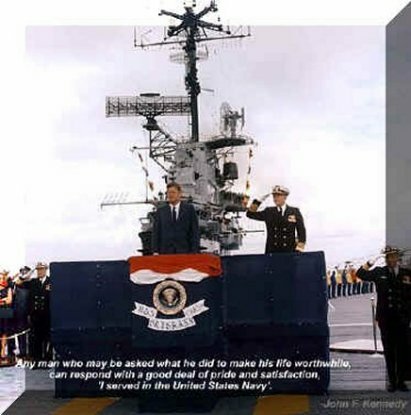 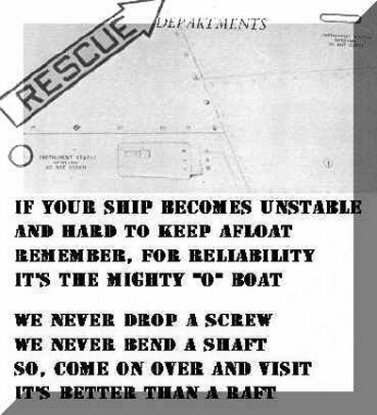 In 1972, the ORISKANY had an at-sea accident which resulted in the loss of one of its aircraft elevators, and later lost a screw that put the carrier into dry-dock in Yokosuka, Japan for major repairs, thus delaying its involvement until the late months of the war. 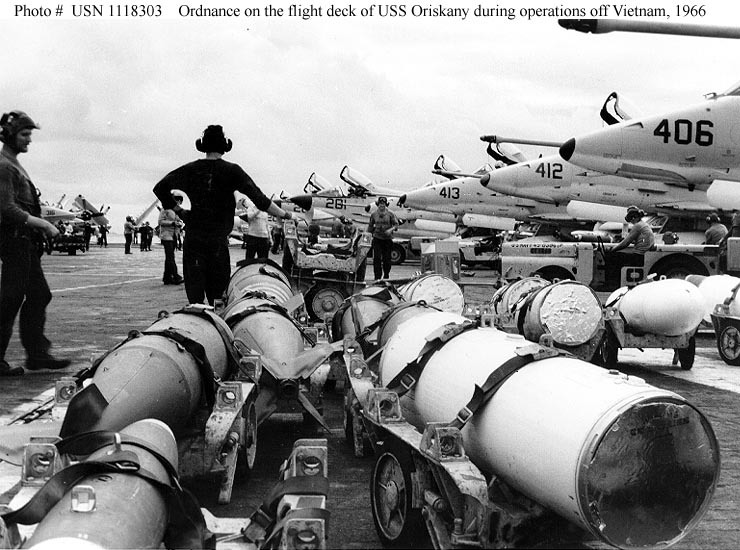 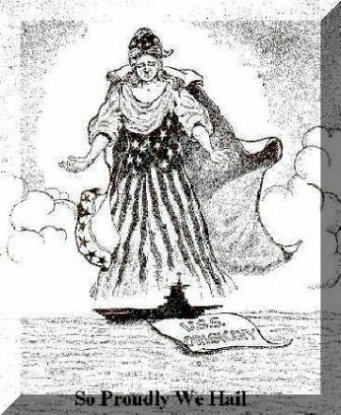 The ORISKANY's 1966 tour was undoubtedly one of the most tragic deployments of the Vietnam conflict. 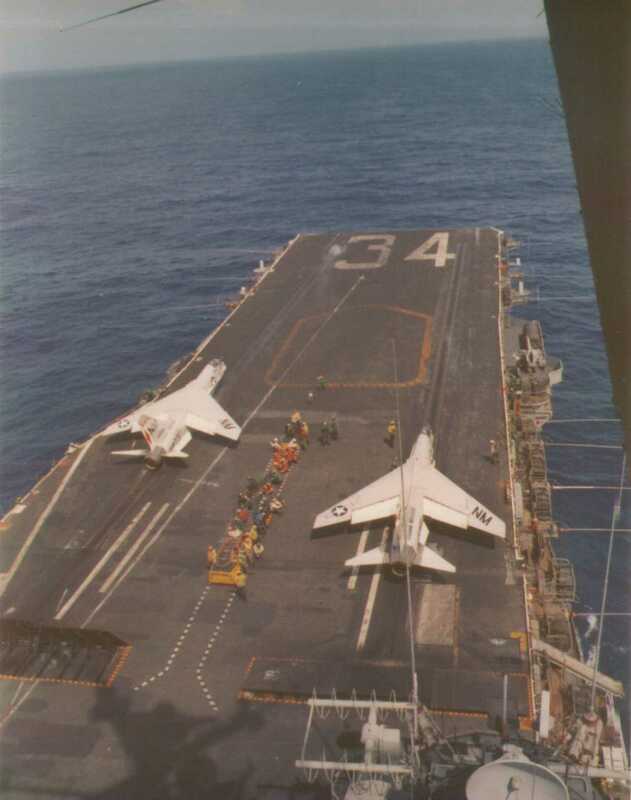 This cruise saw eight VA 164 "Ghost Riders" lost; four in the onboard fire, one in an aerial refueling mishap, and another three in the operational arena. 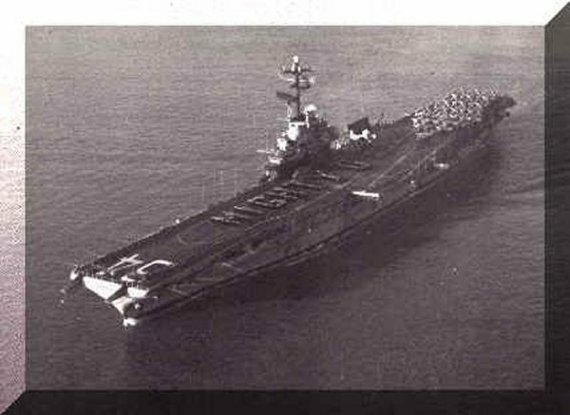 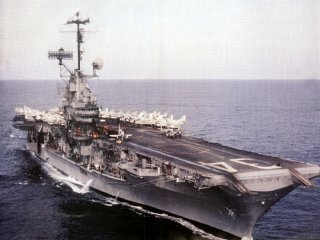 However, the 1967 deployment, which began in June and ended on a chilly January morning as the ORISKANY anchored in San Francisco Bay, earned near legendary status by virtue of extensive losses suffered in the ship's squadrons, including among the Ghost Riders of VA 164, and Saints of VA 163. 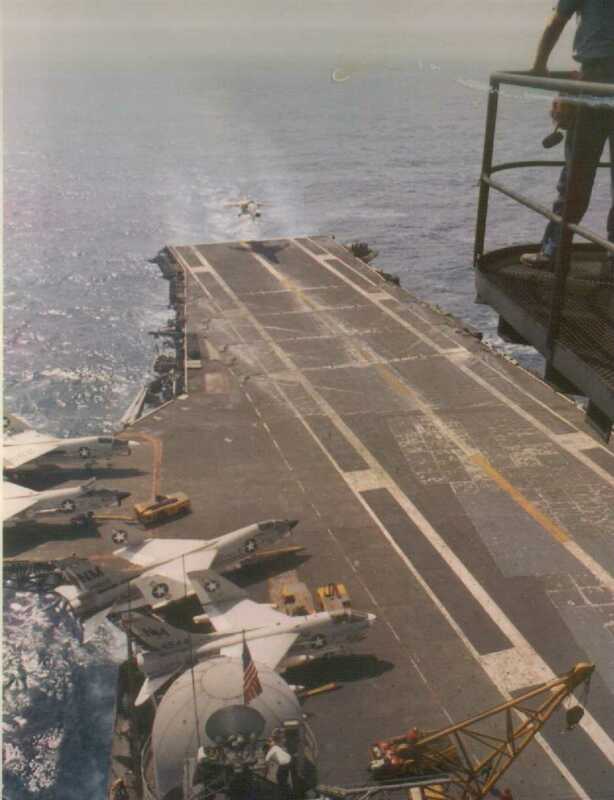 One reason may have been that Navy aviators were, at this time, still forbidden to strike surface-to-air missile (SAM) sites which were increasing in number in North Vietnam.